Goa is a luxuriant natural paradise bounded on the one side by the foothills of the Sahyadri range and on the other by the Arabian Sea. Being situated at the coastal edge of Arabian Sea, Goa is blessed with stunning golden beaches and magnificent backwaters. Goa is a small state that draws a large number of tourists form worldwide throughout the year. 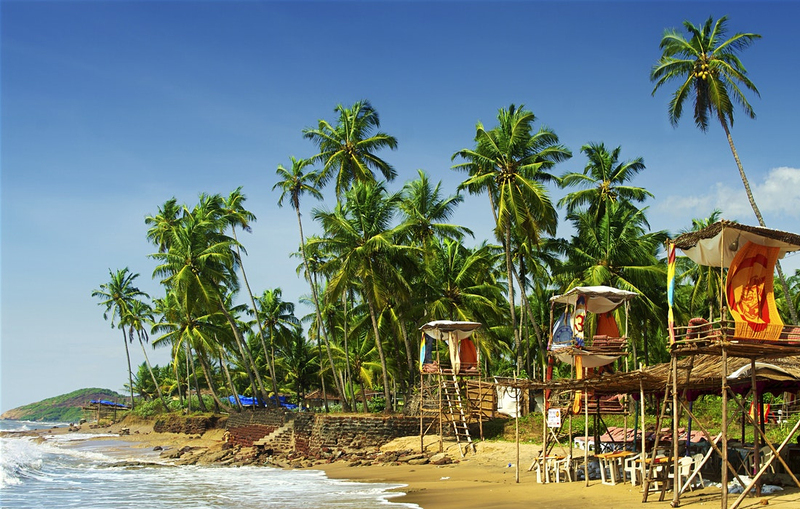 Historical forts, beaches, scenic sunsets and a relaxed life make Goa one of the best beach destinations in India. There are Dona Paula Beach, Morjim Beach, Bogmalo Beach, Miramar Beach, candolim Beach, Majorda Beach, Mo bor Beach, Varca Beach, Sinquerim Beach, Colva Beach, Anjuna Beach and Vagator Beach and more attractions in Goa. It has many Forts and Churches built in Portuguese architectural styles that fascinate the attention of the visitors. It is considered as the most Westernized Indian State. It is also known as a Paradise on Earth. If you can't make your visit to Goa Carnival, which is held every year, you can always feel the carnivalesque mood in Goa. A cosmopolitan crowd makes the most of your visit.